Kick off your visit on the 1st (Sat): step into the grandiose world of Nymphenburg Palace (Schloss Nymphenburg) and then contemplate the waterfront views at Starnberger See. Keep things going the next day: contemplate the waterfront views at Lake Tegernsee and then kick back and relax at Strandbad Seeon. To find ratings, photos, reviews, and tourist information, refer to the Munich trip itinerary maker. New York City, USA to Munich is an approximately 17.5-hour flight. The time zone difference moving from Eastern Standard Time (EST) to Central European Time (CET) is 6 hours. 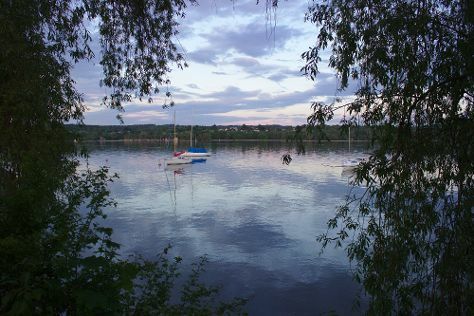 Plan for little chillier temperatures traveling from New York City in June, with highs in Munich at 71°F and lows at 52°F. Wrap up your sightseeing by early afternoon on the 3rd (Mon) to allow enough time to travel to Rome. Kick off your visit on the 4th (Tue): delve into the distant past at Colosseum, take in the architecture and atmosphere at St. Clement Basilica, and then enjoy the sand and surf at Acqua e Sale - Stabilimento Balneare. Here are some ideas for day two: kick back and relax at Sabbianera Super Beach and then enjoy the sand and surf at MOAI Beach. To see maps, where to stay, more things to do, and tourist information, read our Rome tour planner. Traveling by flight from Munich to Rome takes 5 hours. Alternatively, you can drive; or take a train. In July, Rome is a bit warmer than Munich - with highs of 88°F and lows of 69°F. Wrap up your sightseeing on the 6th (Thu) early enough to travel to Oia. On the 6th (Thu), contemplate the long history of Byzantine Castle Ruins, then learn about winemaking at Domaine Sigalas, and then get great views at Sunset in Oia. 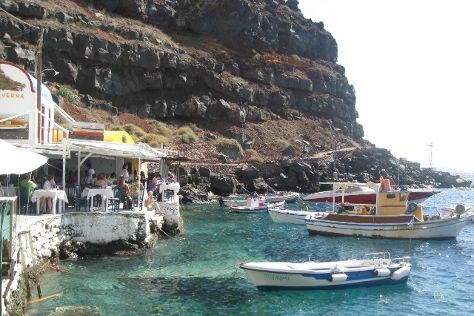 Here are some ideas for day two: stop by Eponymo, take in the exciting artwork at Oia Treasures Art Gallery, then look for gifts at Aquamarine Jewelry, then take in the architecture and atmosphere at Ekklisia Panagia Platsani, and finally contemplate the waterfront views at Amoudi Bay. To find reviews, maps, photos, and more tourist information, refer to the Oia sightseeing planner. Traveling by flight from Rome to Oia takes 3.5 hours. Alternatively, you can do a combination of bus and ferry. The time zone difference moving from Central European Time (CET) to Eastern European Time (EET) is 1 hour. July in Oia sees daily highs of 86°F and lows of 74°F at night. Cap off your sightseeing on the 7th (Fri) early enough to go by car to Fira. You'll get in some beach time at Perivolos and Red Beach. 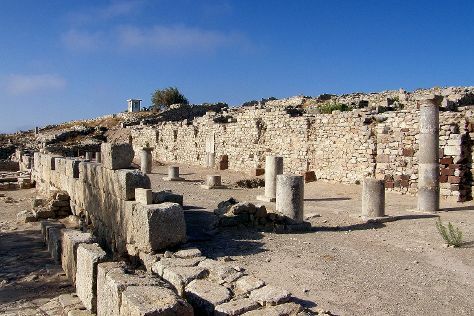 Step off the beaten path and head to Ancient Thera and Akrotiri LightHouse. Explore the numerous day-trip ideas around Fira: Tomato Industrial Museum (in Vlychada) and The Good Heart (in Akrotiri). There's lots more to do: hike along Hiking Trail Fira - Oia, explore the ancient world of Akrotiri, learn about winemaking at Venetsanos Winery, and take in the exciting artwork at Ernesto Workshop & Gallery. To find where to stay, photos, traveler tips, and more tourist information, refer to the Fira travel itinerary creator. Fira is very close to Oia. In July, plan for daily highs up to 86°F, and evening lows to 74°F. Cap off your sightseeing on the 11th (Tue) early enough to catch the ferry to Mykonos Town. On the 12th (Wed), stroll through Paradise Beach, don't miss a visit to The Windmills (Kato Milli), then take an in-depth tour of Lena's House, and finally appreciate the extensive heritage of Little Venice. To find more things to do, maps, other places to visit, and other tourist information, refer to the Mykonos Town travel itinerary creator. Getting from Fira to Mykonos Town by ferry takes about 3 hours. 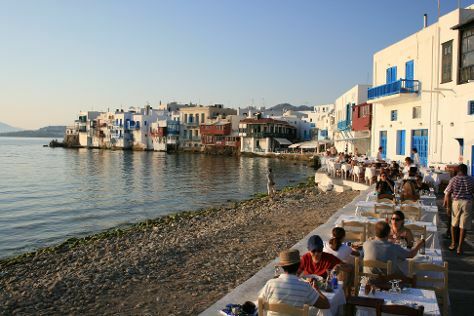 In July, daytime highs in Mykonos Town are 83°F, while nighttime lows are 73°F. Wrap up your sightseeing on the 13th (Thu) early enough to travel to Athens. On the 13th (Thu), delve into the distant past at Acropolis of Athens and then appreciate the extensive heritage of Plaka District. Get ready for a full day of sightseeing on the next day: take in the awesome beauty at Mount Lycabettus, examine the collection at Acropolis Museum, then explore the ancient world of Temple of Olympian Zeus, and finally delve into the distant past at Temple of Hephaestus. To find traveler tips, ratings, reviews, and other tourist information, refer to the Athens trip planner. You can do a combination of flight and subway from Mykonos Town to Athens in 2.5 hours. Another option is to ride a ferry. Traveling from Mykonos Town in July, you will find days in Athens are a bit warmer (93°F), and nights are about the same (74°F). Finish up your sightseeing early on the 15th (Sat) so you can travel back home.